I've been working on a history of Petronella for the French Maritime Museum, in La Rochelle, which is collecting information on the 70 or so Joshuas built by Meta. I thought I would record it here for my own use, and for anyone who might be interested. This is Petronella's history as I know it at the time of this writing. It is subject to change as new information surfaces. Given that caveat, here is P's fabulous history -- so far! In 1973, Petronella's original owner, Helmut Liebscher, placed an order with Meta Naval Shipyard -- a steel boat builder made successful by its association with Bernard Moitessier and the original Joshua. Meta completes the build of the 29th Joshua hull in Tarare, France, and ships it to Helmut in Germany. Helmut finished the build himself, including the construction of her timber masts. Meta included the rudder fittings for the same trim-tab self-steering system that Moitessier used, but Helmut chose to install the more modern Aries wind vane. Upon launch, she is powered by a 40 hp diesel engine of unknown make. Her original name: "Liebel Auf Berlin”. Helmut uses Liebel to take paying passengers for cruises in the Mediterranean and for at least nine Atlantic crossings. Around 1985, while working in St. Barts with a hurricane approaching, they decide to put to sea to avoid being wrecked. The 40 hp engine lacks sufficient power to turn the boat in the wind, so they are forced to reverse through the other boats moored in the harbor, past the rocks at the entrance, beam on to the waves and swell before they could turn and motor clear. “Never again!” said Helmut, and being a man of action, he threw away the 40 hp engine and installed an 72 hp Mercedes/Wizemann OM-616.918 diesel, which is still running well. Helmut and Giesler eventually decide settle in St. Barts. They sell Petronella IN 1998 and build a house and a set of guest rooms, mainly with their own hands. Petronella’s last voyage with Helmut was from Trinidad to St. Barts laden with timber and building materials, a bit like a journey Moitessier made on his Joshua in the South Pacific. At the end of the 1997 sailing season, Les Weatheritt -- author of "Your First Atlantic Crossing" and several other sailing books -- and his partner Gloria spot Liebel in Trinidad where Helmut has laid her up. Looking for an upgrade from their 32-foot ferro-cement boat (named Petronella), they contact Helmut in St. Barts. Back in London for work, Les tells his sailing friend Rod Morgan (author of many books and articles on criminal justice) about this Joshua, and Rod immediately volunteers to go half-shares in her. When Les returns to the Caribbean for the 1997 winter season, he sails the 32-foot Petronella to St. Barts to see Liebel again. He and Helmut strike deal, subject to Rod's approval. In 1998, Les and Rod fly to St. Barts to inspect Liebel. Rod agrees to the sale, and the he and Les then sail Libel back to Trinidad. In May, 1998 Liebel is taken out of German registration, and into the British Small Ship Register as Petronella. Although Liebel is already well known in the Caribbean, particularly in the French community of sailors, she gradually becomes known as Petronella over the next 10 years, wearing as her name boards the ones Les and Gloria took off their earlier 32-foot Petronella. Les and Rod sail Petronella from Tortola to the Azores. Rod departs the boat in Horta, and Gloria rejoins the boat. Les and Gloria spend the winter of 2003/4 in the Azores, and in the summer of 2004 sail Petronella back to the Spanish Rias of Northwest Spain. While in the Azores, Les writes his second sailing book, "Caribbean Passage Making" and a novel, "Summer Storms", both of which feature Petronella during her time in the Caribbean. 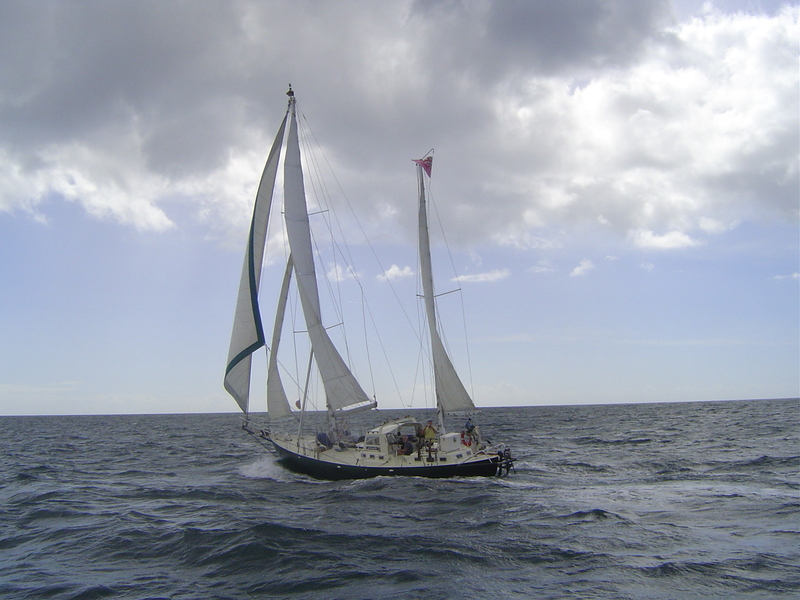 Les and Gloria sail from the Azores to Europe, heading for a classic boat event at Brest. They hoped to sail to the Joshua heartland of La Rochelle, to possibly winter over at the Maritime Museum, offering Petronella as an exhibit, but they are too late to make Brest and land in Vigo Spain. They then head south to the Algarve. Interested in another boat in California, Rod sells his share in Petronella to Les in July 2006. In November, with the boat now in Portugal, Les sells Petronella to John and Gill Douch. They sail Petronella along the south coast of Portugal and Spain for two years, installing a bow thruster to help get in and out of marinas and upgrading the radios and electrics. John and Gill sail Petronella east across the Mediterranean to Prevesa in Greece via the Balearics. Making the most of his new status as a retired person John and wife Gill sail Petronella round the bottom of Greece and on to Marmaris in Turkey and overwinter there. John and Gill live for most of the time on Petronella. 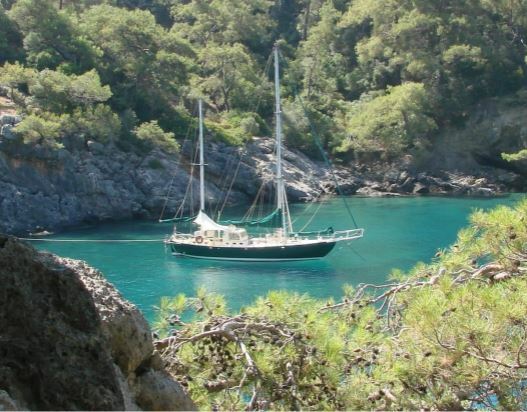 From their winter base at Kaş marina they explore both the Turkish coastline and the Greek islands, particularly the Dodecanesos and Sporades island groups. Petronella is sailed west back through the Mediterranean to Gibraltar again via the Corinth Canal and the Balearics and then onwards to Lanzarote. They then sail across the Atlantic back to the Caribbean and spend two years sailing up and down the Caribbean island chain spending hurricane seasons in beautiful Grenada. Finally they sail from Martinique to the Exumas in the Bahamas with to John Almberg (author of "An Unlikely Voyage -- 2000 miles in a small wooden boat") and his wife Helena as part of the sale agreement in Spring 2017. John and Helena spend the spring of 2017 cruising in the Exumas, then return to Florida where they import Petronella into the States, and re-flag her as a US boat. In the summer of 2018, they sail her to Norfolk, Virginia, where the famous steel boat builder, Howdy Bailey, restores her to near-original condition. 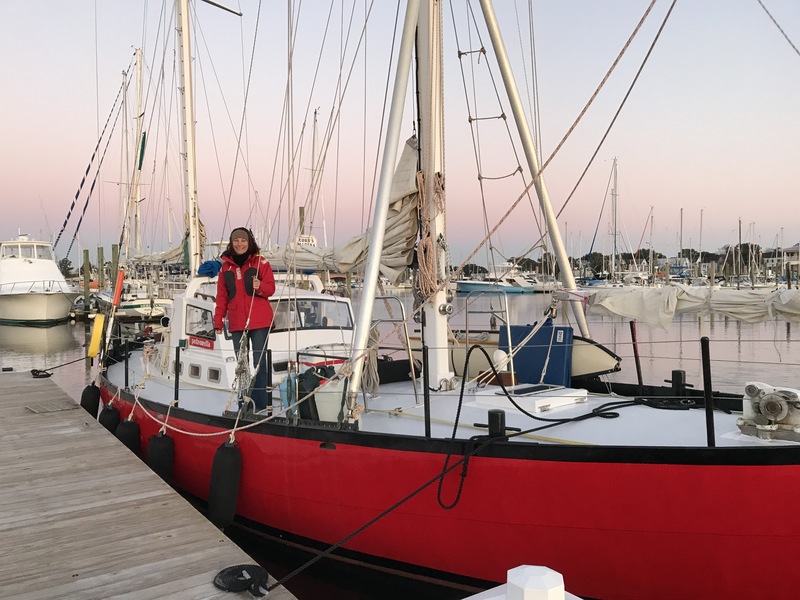 John and Helena sail Petronella back down to St. Augustine FL where they completely replace the standing rigging and all working sails. They then take a shake down cruise to the Abacos, in preparation for a six-day passage from St. Augustine to the Chesapeake Bay. Petronella is currently in Solomon Island, MD.